What’s A Bolide, And Why Did One Explode In The Michigan Skies? Last night, Michigan got “treated” to a flash, a loud clap of sound, and a 2.0 earthquake, all thanks to a meteor. But people have used the term “bolide” and “meteor” interchangeably, and it’s created a lot of confusion, not to mention the fear that a new type of meteor is going to come streaking out of the sky, Hollywood-style, and flatten everything. But don’t worry, bolides are relatively common across the planet, and it was just luck of the draw this happened over Michigan. Any space rock big enough to make a visible fireball is technically a bolide, so all that happened over the Wolverine State was a normal, if startling, natural phenomenon — essentially nature’s version of hucking a firecracker into a mailbox. That said, though, Michigan got off light: Bolides can be nasty customers. Let’s dig into what really happened in the skies over Michigan, and why. A “bolide” is really just a fancy term for a fireball: Any meteor that enters Earth’s atmosphere is going to burn up. The meteor is moving so quickly that the very air causes incredible friction against it, and as you enter the atmosphere, the pressure increases, driving up the stress on the object. That’s why space shuttles have heat shielding. It’s difficult for a meteor to arrive to the Earth’s surface mostly unscathed, and they usually burn up or explode overhead. In fact, NASA estimates 80 to 100 tons of space rocks pelt the Earth daily, and we only notice when something like this happens. Why do bolides explode? All the heat and stress of crashing into the atmosphere focuses on the front of the meteor. As it heats up, that front melts or wears away, flattening out the asteroid and giving the atmosphere even more surface area to ignite. Soon the heat and pressure are so severe the meteor just gives way all at once. 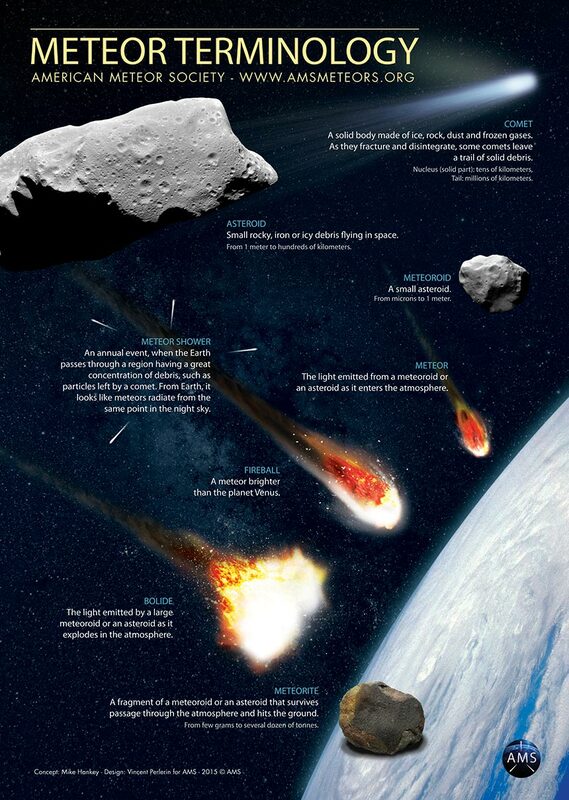 Thanks to their tendency to explode, a bolide doesn’t need to make impact to do some damage: In 2013, a meteor exploded over the Russian city Chelyabinsk, shattering windows, collapsing a building roof, and scaring the residents. And then there’s the “Tunguska event,” in which a meteor airburst over a Russian forest in 1908 was found to carry the equivalent of a 15-megaton nuke being set off. Wait, why do these things always happen in Russia? Because Russia has the most land mass of any country, which is why you shouldn’t be too concerned about a meteor flattening your city. Russia takes up a fair chunk of the globe, and most of the Earth is ocean. However, scientists argue that a meteor smashing into the ocean would probably be bad news for us anyway. In other words, what happened in Michigan was extremely rare: We’re not about to experience Armageddon, either the actual event or NASA sending a bunch of roughnecks up into space. That said, NASA is still cataloguing all the rocks flying through our celestial neighborhood, so we’re unlikely to have any warning until, well, the meteor goes off. In other words, while there’s a small chance of a meteor exploding over your city and rendering it a wasteland, you’ve got way better odds of being in a car crash. So don’t worry about death from the skies. There’s plenty more to worry about right here on Earth.